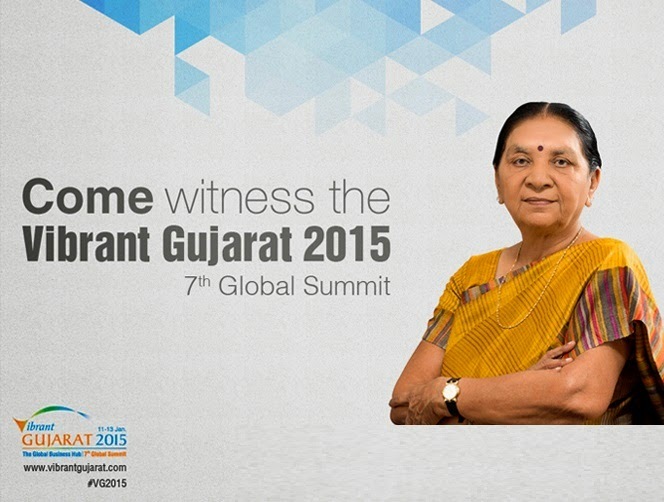 www.vibrantgujarat.com - Do you know what vibrant Gujarat summit 2015 is? It is the name given to a biennial investor’s summit held by the government of Gujarat in Gujarat state. You must be wondering what the aim of vibrant summit is. The event is intended to bring together business leaders, investors, corporations, policy and opinion makers, and thought leaders. Let’s know more about it. Now, you know what vibrant summit 2015 is. The first summit was organized in the year 2003. This year it will be the 7th vibrant Gujarat summit 2015. The event is organized to be held from 11th to 13th January 2015. In addition, the event will be conducted at mahatma mandir, Gandhinagar, Gujarat. Moreover, the six summits held and they have been a resonant success and enormously supplied to the transformation of Gujarat into a “Gujarat Business Hub”. Furthermore, the main focus of government of Gujarat is comprehensive development including the chief areas innovation, youth and skill development, knowledge sharing and networking, sustainability. The vibrant summit 2015 will be the superlative platform for all other states and countries, who represent their strengths, facilitate knowledge broadcasting, emphasize business opportunities. In addition, vibrant Gujarat is also well-known for the trade show. Every year 2000+ companies take part in the exhibition. The number of visitors is increasing every year! The brand “Vibrant Gujarat” has now progressed into an ultimate platform for knowledge sharing, social and business transformation. Moreover, there will be forenoon and afternoon events on 11th and 12th January 2015. On 13th January 2015, there will be a B2B and B2G meeting. Healthcare Industry, Sustainable development, Ports & Ship building industry of Gujarat-gateway to India, Renewable Energy, Mega Projects – Avenues for investment in Gujarat, Tourism industry – the Gujarat experience, Environment – sector profile, Biotechnology and Nano-technology, skill ecosystem, A Bird’s eye view of Gujarat forest sector, Road Transport – Connecting lives, robust facts of Gujarat, Manufacturing, Innovation and R & D and many more sectors will be covered in this year’s Vibrant Summit 2015. Keep improving and let’s hope for the best for this Vibrant Summit 2015!